Goa trance label from Israel. Formed in 1995 by Avi Nissim, Lior Perlmutter and Yaniv Haviv, most well known for their Astral Projection releases. The label worked closely together with Phonokol. 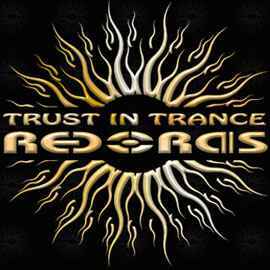 The label's story began with the succes of compilation albums "Trust In Trance" and "Trust In Trance 2" released on Outmosphere Records. Guy Sebbag left the label during 1994 inbetween these releases. The second album became an exceptionally big hit, garnering interest from leading international DJ's and many labels around the globe. After these two releases the Trust In Trance Records label was created, starting with catalog number T.I.T. CD003. The label expanded to also release compilations featuring national and international goa trance artists of the period. Avi, Lior and Yaniv continued to work together as Astral Projection and for Trust In Trance Records (Yaniv later left the music scene). The last general release was issued in 2001, after this the release schedule slowed down and Trust In Trance Records has been used exclusively for Astral Projection releases since.